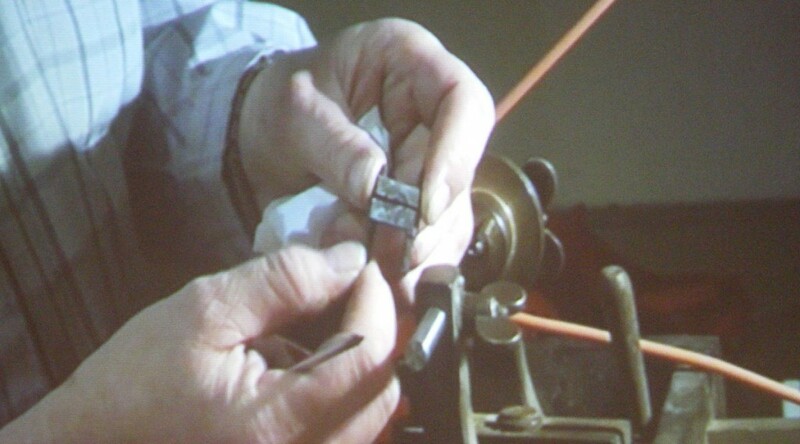 A series of videos are, at the time of writing, partly uploaded to the SLBBHI youtube channel in which Maurice runs through the process of turning a balance staff on the watchmakers lathe using a hand-held graver. 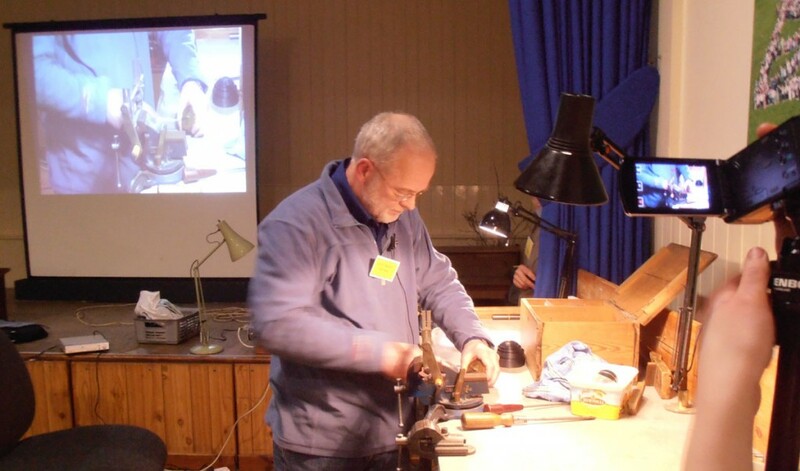 Not only did Duncan bring along a bench but also also a selection of traditional clock and watchmakers’ turning tools. He started the demonstration by fitting a contrate wheel to an arbor using a beautifully preserved 19th century clockmakers’ throw. 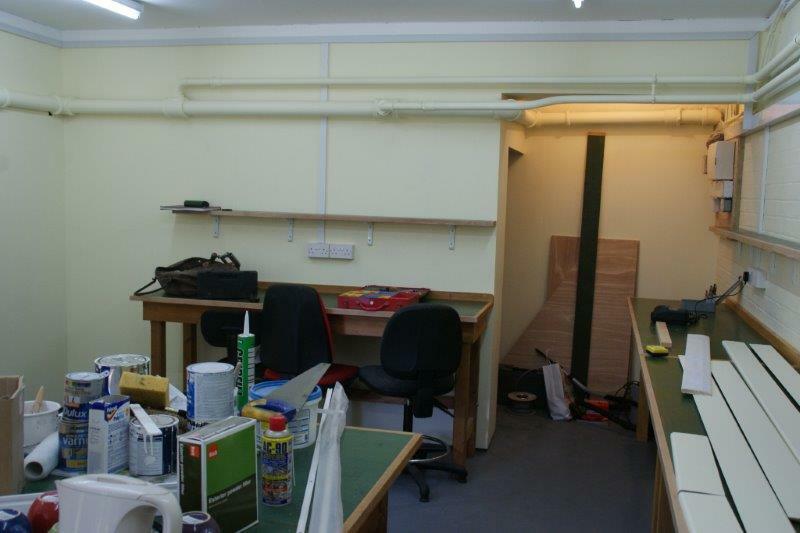 As the work is held between centres, it is necessary to fit a carrier. 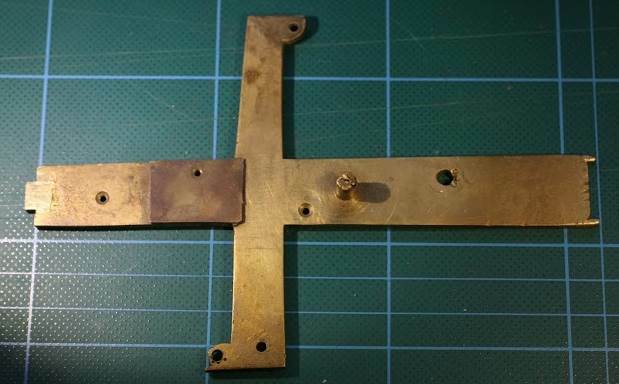 Whilst fitting the carrier, Duncan explained that many old clock arbors have a small chamfer turned at each shoulder so that the arbor can be spun between centres without stressing the pivots. 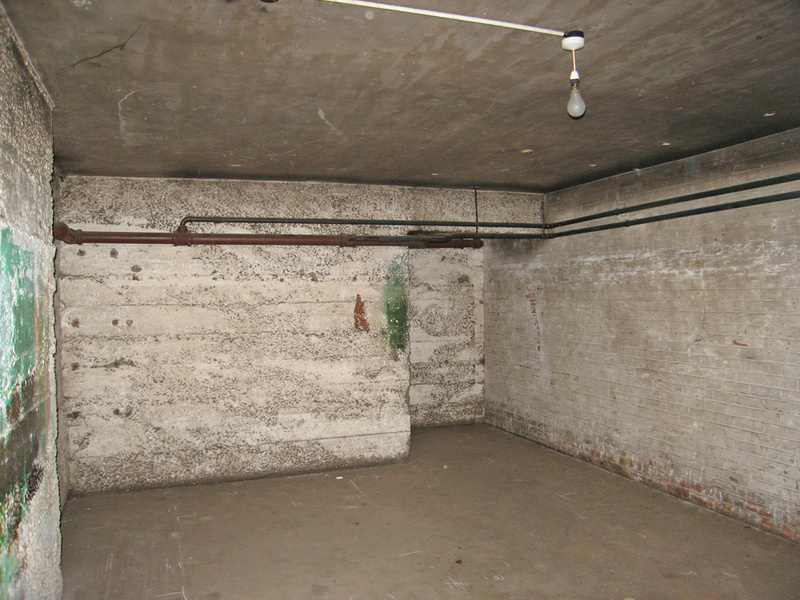 He added that the throw has a significant advantage over a chuck lathe as the work can easily be removed for inspection and then put back – safe in the knowledge that the work will be running exactly as before. 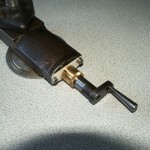 Once the carrier and the arbor were fitted into place Duncan began to turn the collet for the contrate wheel. 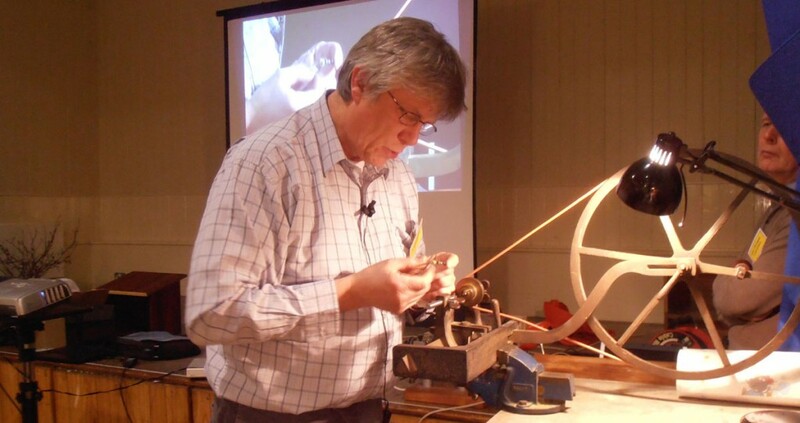 Whilst spinning the hand-wheel, Duncan described how he was cutting back a gentle taper to find the right diameter for the wheel, then he repeatedly removed the work to check against the wheel. When the right diameter was achieved he turned the side of the collet straight, removed the work once more and pushed the wheel home. Re-mounted the wheel and arbor between centres and then using a burnisher rubbed over the end of the collet to hold the wheel good and tight. 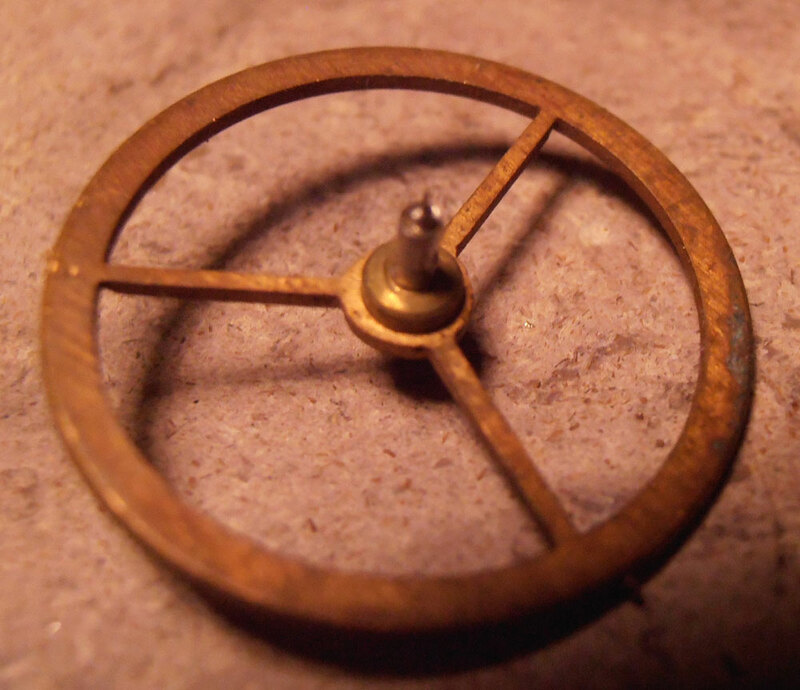 The contrate wheel was then passed around the audience to see the slightly domed burnished collet end that was immovably holding the wheel to the arbor. 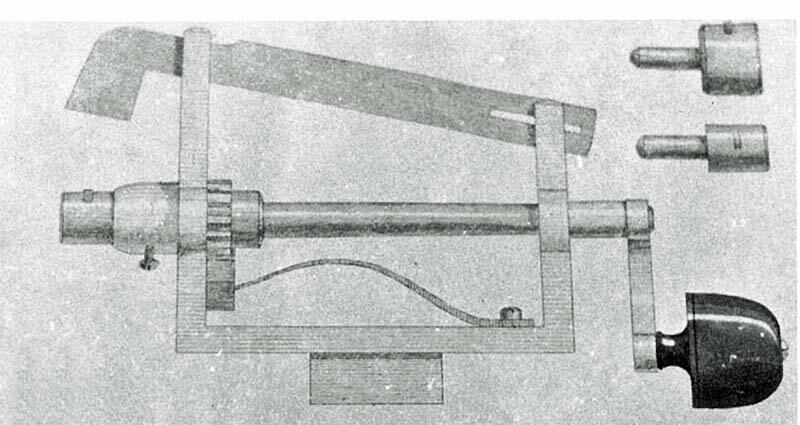 Duncan then showed a smaller bow lathe, which he admitted was perhaps not always commercially viable to use in the modern day workshop, but was nonetheless very enjoyable to own. 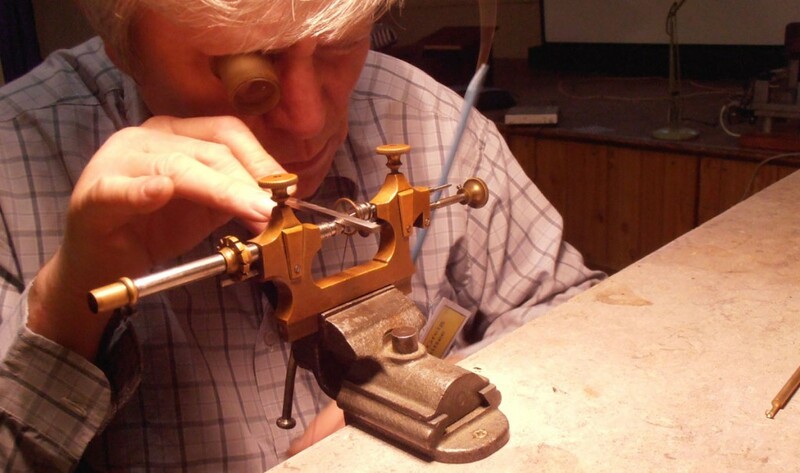 A tool Duncan employs regularly in his workshop is the modern set of Swiss watchmaker’s turns which formed the next part of his demonstration. 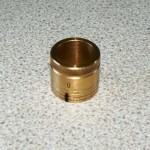 Duncan mainly uses these to support components whilst polishing them. 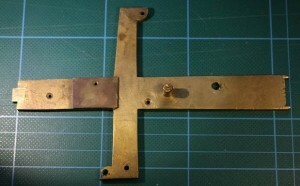 He uses various custom made brass runners for this but demonstrated the tuning of a steel spacer. 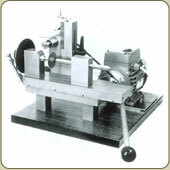 The spacer was mounted to a carrier in the form of a tapered steel arbor with integral pulley wheel. Before fitting the carrier between the centres, he laid the hair of the bow across the bed of the turns. Once the work is fitted he can then simply pull the bow upwards setting the hair on the pulley and by rotating the bow wrap the line tightly around the pulley. He turned the piece, only cutting on the down-stroke of the bow, whilst explaining that he found the small turns very useful for everyday work and used them a lot. 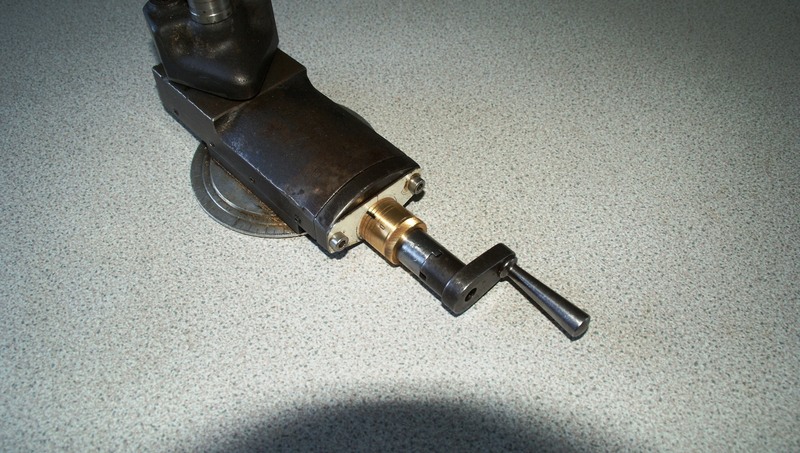 The final stage of Duncan’s demonstration was to burnish the pivot of an old cylinder assembly on the Jacot tool. 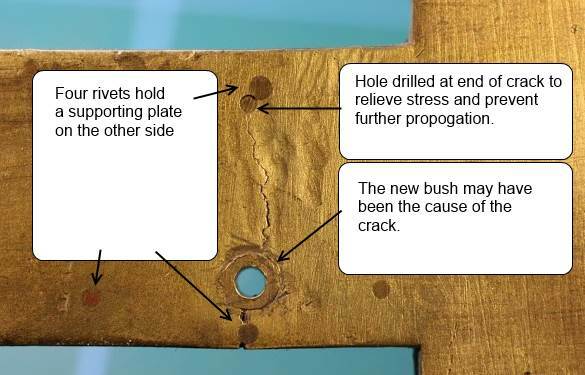 He used the balance as a carrier for this procedure and cautioned the audience that it was all too easy to remove material from tiny pivots and it was worth checking progress regularly. 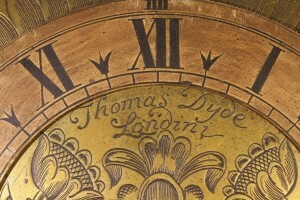 Duncan joked modestly that he should not be trusted with anyone’s watch but the pivot remained intact and gained a bright burnished finish. 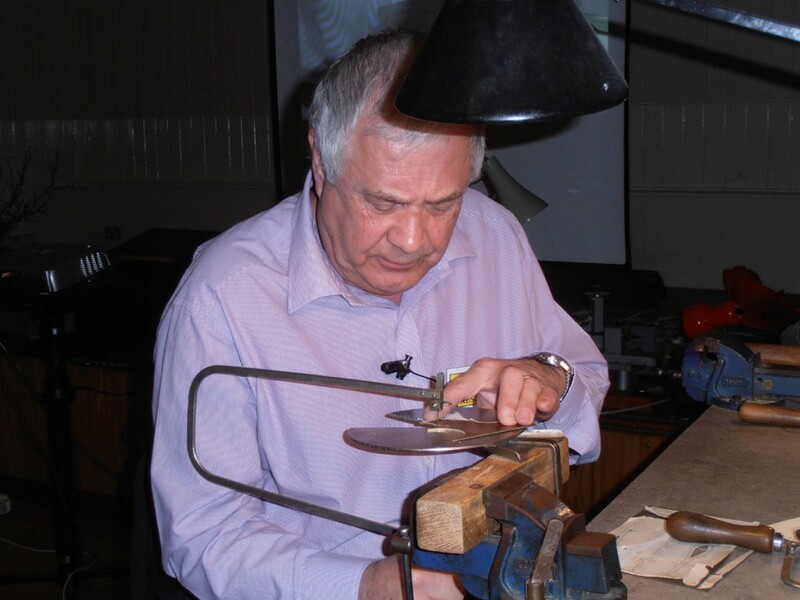 The first demonstration of the evening was given to us in considerable detail by Ron Rose, who firstly described the equipment required for piercing out intricate designs in brass and other materials, and went on to demonstrate the procedure with great effect. 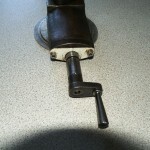 A thin metal table with a wedge cut out from it is firmly set up on the work bench to support the job, and a deep throated piercing saw with a round back blade is used. The blades Ron uses are German and can be purchased from Cousins. The choice of blade requires two to three teeth per thickness of work to prevent snagging, and the edge of the metal table can be cut against to reduce the speed of cut when making an intricate manoeuvre. The stroke needs to use the full length of the blade, so there will be constant wear over its whole length, but by using only part of the cutting area it increases wear in a small section and when another part of the blade is used it will grab and break, but lubricant should not be used. Now for the demonstration. A pattern is glued and rolled onto the work using a mild adhesive. Ron advises to cut to the line as this reduces filing time. (Try it!!). The saw remains parallel with the arm and does not follow the line of the pattern, as the cutting action remains on the same spot. It is the work that is fed into the blade and on the line as was demonstrated with a circle partially cut out by Ron, and when examined against the light one could not see the point of owning a file. The circle was perfect and without jagged edges. These skills are only mastered over long hours and many years of practise. 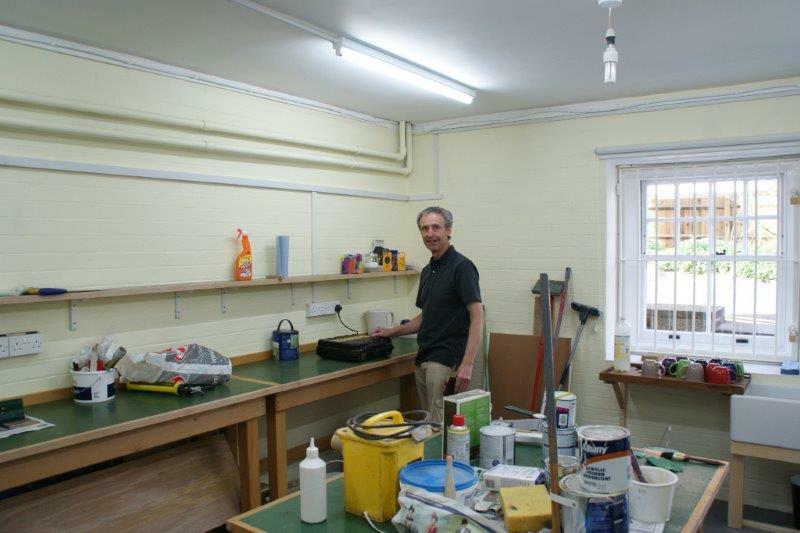 Ron has been using a piercing saw from the age of fifteen, and has been most generous to share with us some of the lessons he has had to learn the hard way. Ron received loud and very appreciative applause from the members and guests. 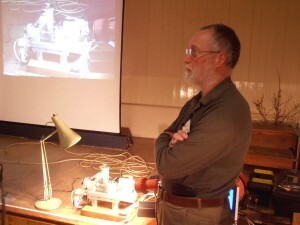 Alan’s talk showed us how to convert a ”LINDOW” wheel cutting engine to fully automatic indexing and feed. 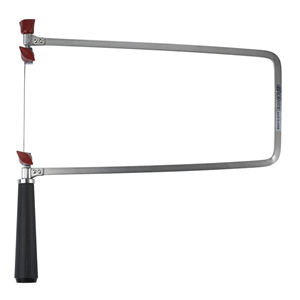 The Lindow is a sturdy machine imported from America by Malcolm Wild it uses conventional indexing and manual feed/return of the cutting tool. 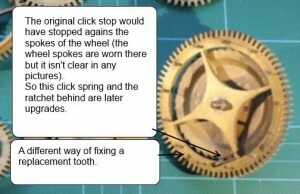 This method requires concentration and is open to error especially on unusual and high wheel counts. Using a couple of recycled stepper motors, some inexpensive toothed belts and wheels, stepper motor drivers and some freely available software Alan was able to convert this machine into a fully automatic and highly accurate wheel cutting engine. Alan demonstrated cutting a 29 tooth 0.8 module wheel. 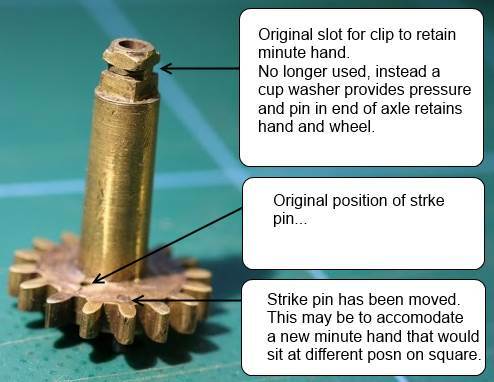 Using the software supplied free by Rex Svenson Alan entered the number of teeth and the module, the software calculates wheel diameter and depth of cut the accuracy is shown in this example it showed to be 0.000064” this is so insignificant. 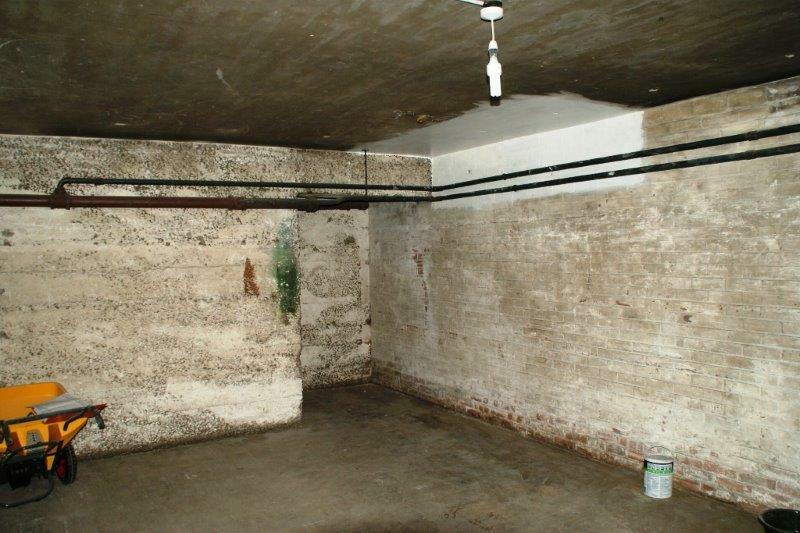 The system is a bit on the slow side for commercial use, but this is far outweighed by the fact that you can leave the whole thing to finish the job. Alan makes all his cutters using the method learnt at a BHI seminar given by Jim Armfield and this along with the REX SVENSON software shows how simply and economically wheels can be cut to a high accuracy. 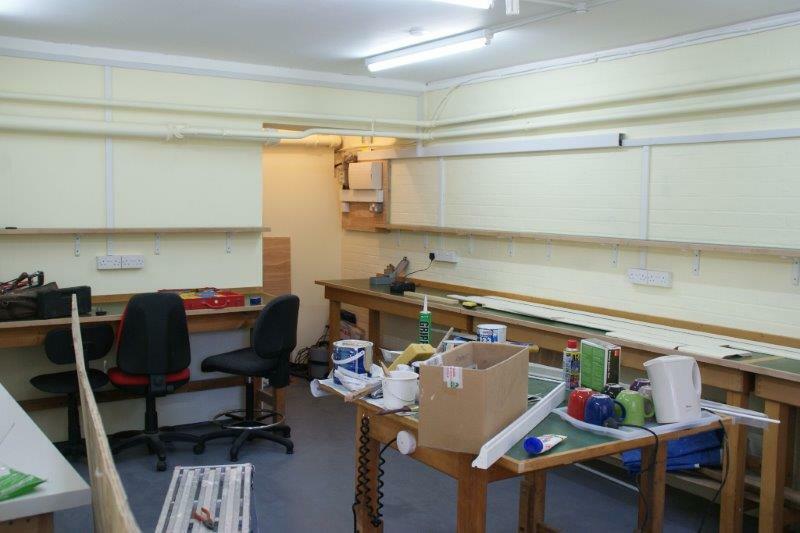 We thought it may be interesting to show some of what as been going on in the SLBBHI workshop during the evening classes. Let me first set the scene. 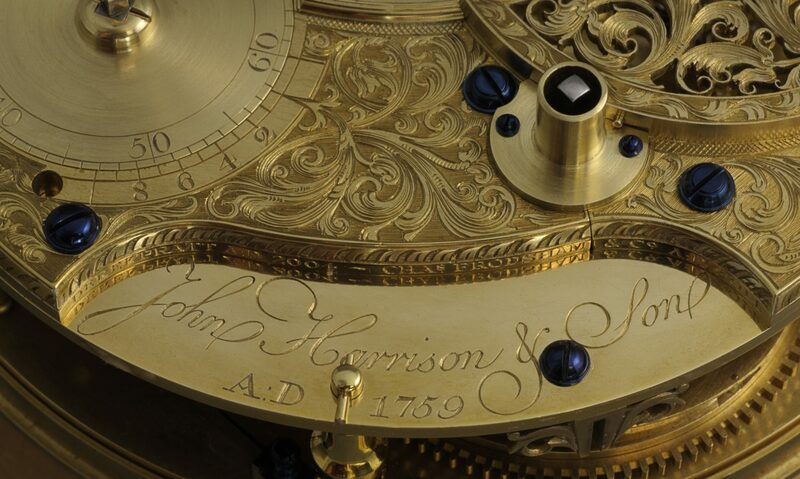 The class is made up of a mixed bag of ‘students’ with a range of abilities including those with many years of prior horological experience, through to myself with almost none. So far, each student brings in their own projects to work on. Each gets individual attention from Ron and, on welcomed occasions, James, with advice on how to proceed, problem solving, associated history, and subtle encouragement for further study. 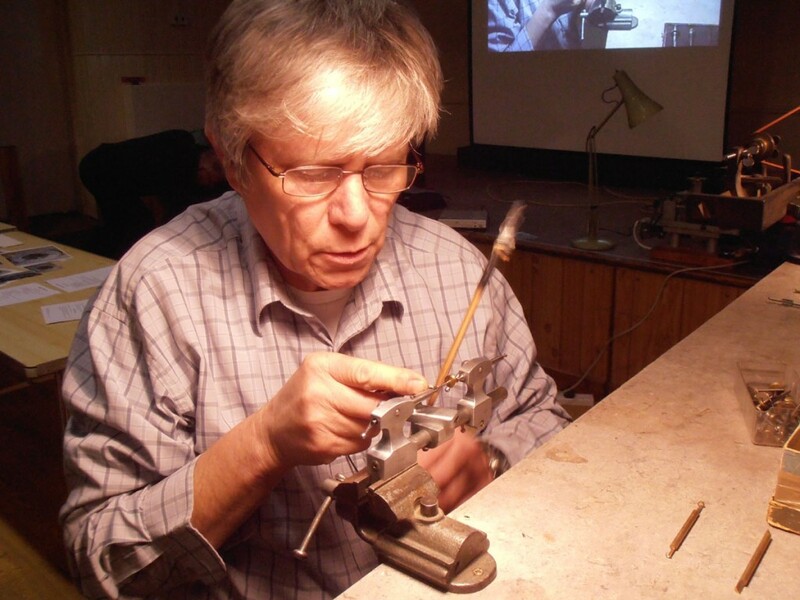 The evenings are frequently punctuated by talks or demonstrations given to the whole class by Ron. Everyone takes an interest in the other students’ projects. In this way the learning opportunities are frequent and cover many aspects. I am looking forward to the next class before I have left the current. 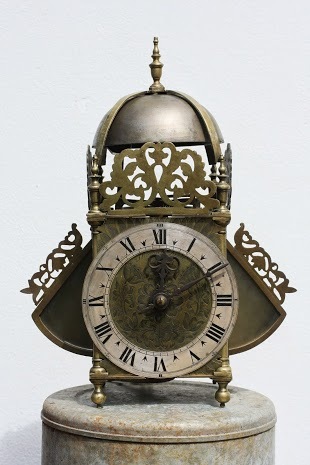 The subject is a weight-driven winged lantern clock by Thomas Dyde, Londini, probably dating from around 1660’s. It has been in my family for about 50 years. 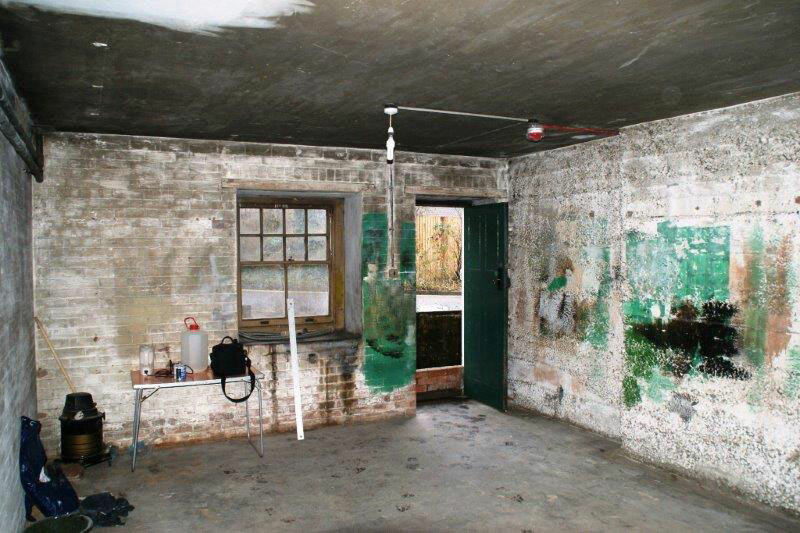 It has not been cleaned or given much care since it was first restored after being purchased as a box of blackened parts from a shop while on family holiday in Yorkshire. For most of those years it has been running and I have childhood memories: of it’s tick; of watching the pendulum swing in and out of the windows in the wings; and of raising the weight and the pleasing sensation feeling the click while pulling the rope. In recent years it had become tired and would need to take a nap after a few minutes of running. So, it has been temporarily entrusted to me to enliven. At the start, I had no intention of writing about it so I don’t have any pictures of the initial condition. On first opening the sides it became clear what the probable cause of it’s unreliable performance was: cobwebs and the remains of a diverse range of arthropods. The attention of a 2″ paint brush completed the problem solving but I took the opportunity to dismantle, clean the components with lighter fluid, remove surface rust from the iron components with a fiber-glass pencil, reassemble, and oil. Here are some pictures of the result, with some comments on things I learned, with Ron’s help, along the way. So you can see what I’m talking about, here is the clock, cleaned, and in the sun. 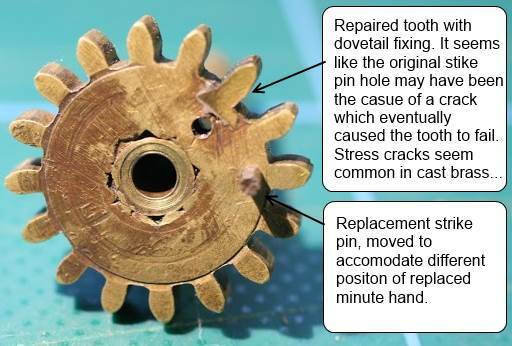 Another example of a replacement tooth, and the first I noticed, was not dovetailed as the minute-had repair has been, but instead has a round mortice profile. This is on the wheel that takes the weight (I’m not up to speed on terminology yet, despite being told). 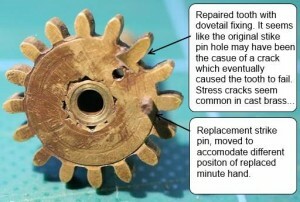 This wheel also shows signs of alterations. The click stop has been upgraded from a latch spring that would have engaged the wheel spokes (and there is considerable wear on these as evidence) and given a ‘stop’ every quarter of a turn of the wheel, to a more fine latch on a new wheel mounted alongside. 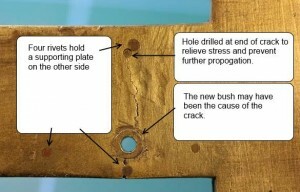 Someone in the past, who perhaps wanted to avoid riveting a replacement bush in a material prone to cracks, has opted for a more raw blacksmith technique to close up an oversize hole. 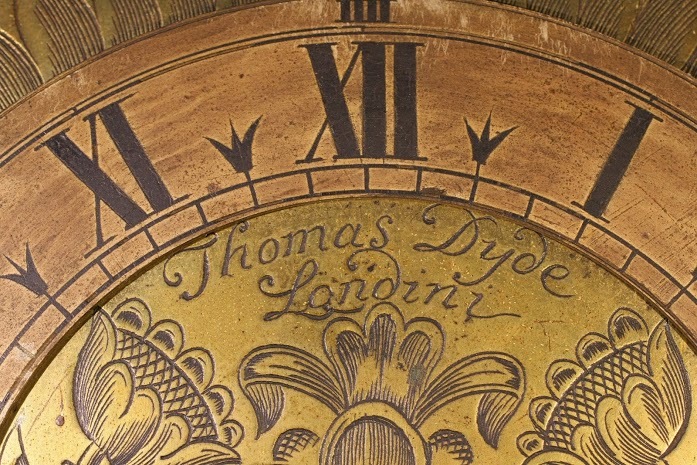 (By the way, Thomas Dyde had a blacksmith apprenticeship and was not known to be a member of the Worshipful Company of Clockmakers so in some way this seems appropriate here but probably not generally recommended for fine clock restoration!) 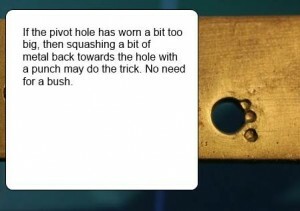 The metal around the pivot hole has been ‘moved’ to close up the hole by using a round punch around one section of the perimeter. The punch has been applied to both sides of the hole. 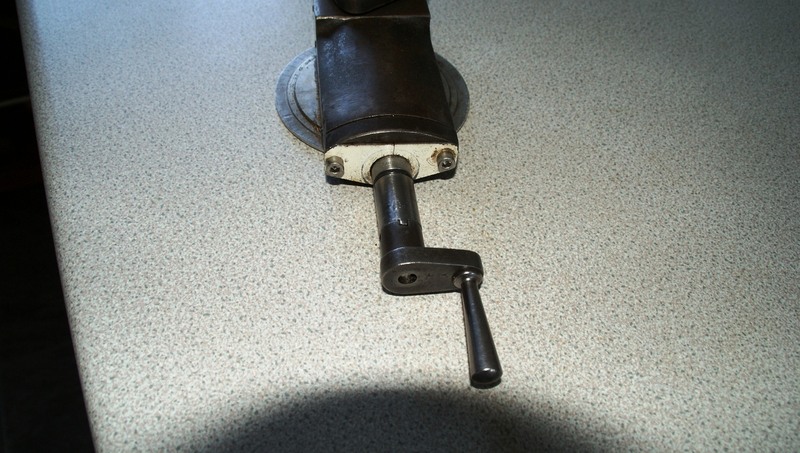 When I was sixteen my father and I bought a Drummond “B” lathe from the swap shop in Croydon. I am now sixty seven and still using the lathe after it came to me upon my father’s death some years ago. Over the years the lathe has had a bed regrind and various modifications including, electronic three phase speed control, a new lead screw and an extended cross slide. 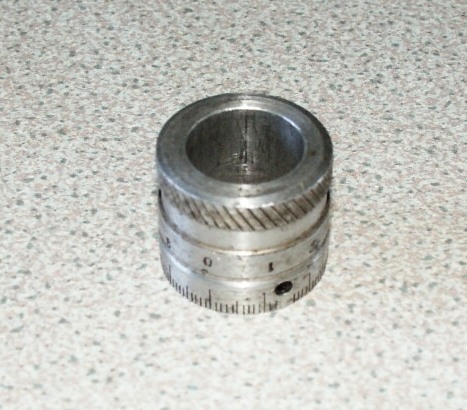 In amongst all the bits and pieces was an aluminium tube about an inch long with markings around it. 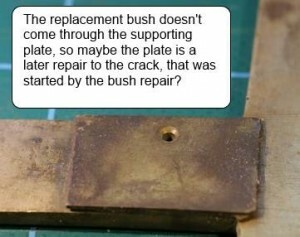 (See fig 1) Over the years I have considered throwing it in the scrap box as I could never find what it was for. 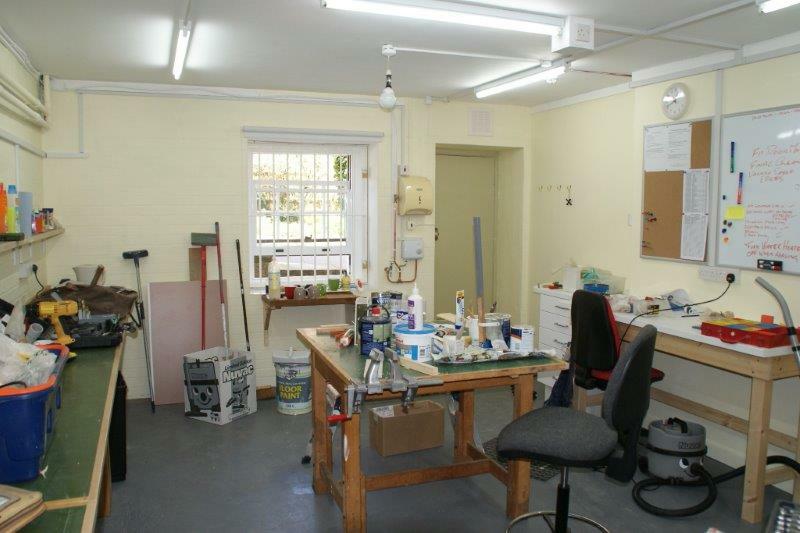 Recently I attended a course at the BHI to learn how to make fly cutters for wheel and pinion cutting. At the course we learnt to make a form cutter and then how to use this to make the fly cutter. This involved using the form tool on the secondary slide set at an angle to cut the blank. Suddenly the light came on and I realised what the tube was for, found it in the draw, sliding it over the shaft and the o ring. 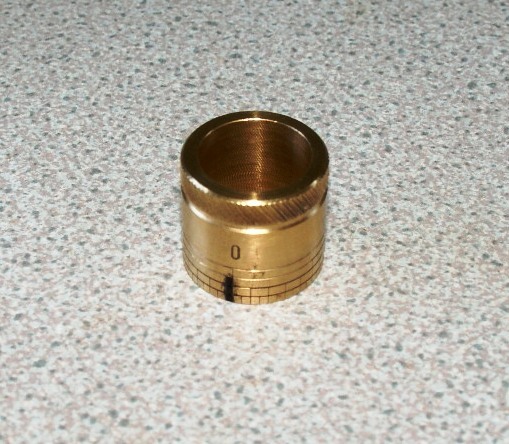 My father had made and fitted an imperial vernier for the lead screw. 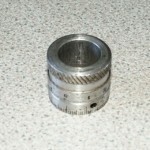 Having decided that the pitch of the lead screw was ten to the inch how was I going to measure the feed in millimetres? A small number of videos are now available online for your viewing pleasure. Please have a browse and feel free to post your comments. Many thanks to Norvin and Nicole for all their hard work! !